This picture is © Miklos Szabo and may not be used or published without permission. First flight September 16 1992, delivered United Airlines November 3 as N944UA. After 12 years of service, WFU and stored Goodyear, Arizona September 18 2004, where she was transferred to Lake City Municipal Airport, South Carolina, December 18. January 20 2005 to CanJet Airlines as C-FCGG. Stored Hamilton International Airport, Ontario, Canada, November 2006. 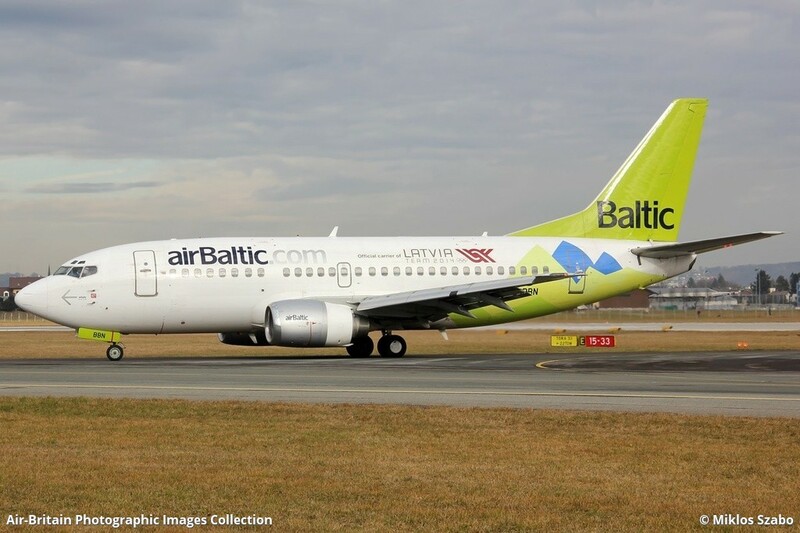 March 21 2007 to Air Baltic as YL-BBN. Seen here with âOfficial Carrier Latvia Team 2014â banner only on port side.